This study guide examines some of the interesting and profound verses that give insight into these invisible servants of God, who serve “those who will inherit salvation”. Angels impact the world in ways we can’t begin to imagine. Angels can also affect your life. The Scriptures have much to tell us on this fascinating subject. Angels have long been popular in our culture. People hold many ideas about them. But are those ideas accurate? Do they agree with what the Bible reveals? Where did angels come from? How long have these spirit beings existed? Do they have freedom of choice? Let’s look in the Bible to discover the answers. How many angels are there? What does it mean when Scripture refers to God as “the Lord of hosts”? Does the Bible tell us how many angels exist? Should We Worship or Pray to Angels? Sometimes people want to give angels extra credit. It’s as if people want their own angel to lift them from adversity or to do their own bidding in personal affairs. They often look to angelic aid without ever calling on God for help. Some people look to angels almost as their own personal genies. What do angels look like? Many people think they look like babies or infants, only with wings. But what does God’s Word really say about their appearance? Some have taught that a set of scriptures in Genesis 6 refers to fallen angels interbreeding with human women to produce half-demon giants. But there’s a more rational explanation. People have a number of ideas about angels that do not accurately reflect what we see revealed in Scripture. Perhaps one of the oddest depictions of angels is as winged infants, these being referred to as cherubs. The Bible mentions two angels by name—Michael and Gabriel. What the Bible reveals about them tells us a great deal about the unseen spirit world. What Is the Origin of Satan and Demons? Sometime after the world was formed, the peaceful harmony in the angelic realm dramatically changed. Of the many Old Testament references to angels of God, there are a few where One called “the Angel of the Lord” is also identified as “the Lord” (Genesis 16:10-13; Genesis 22:11-12; Exodus 3:2-6; Judges 13:3-22). But how can an angel of God be God Himself? This is evidently the same figure referred to as “the Angel of His Presence” in Isaiah 63:9, as well as the “Angel” God sent to lead the Israelites through the wilderness to the Promised Land (Exodus 14:19; Exodus 23:20). Are all angels alike? 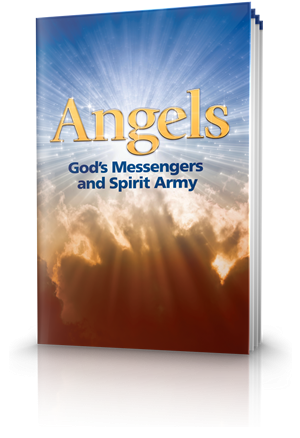 Scripture reveals several different kinds of angels, including cherubim, seraphim and several other kinds of spirit beings. What are they like? 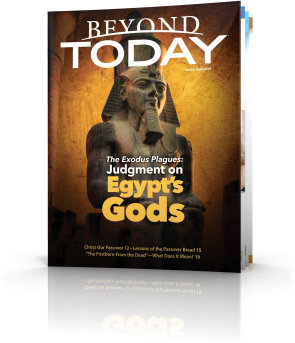 Do We Have Reminders of Cherubim From the Ancient World? Why did God create the angelic spirit world? What is their purpose? What responsibilities do they hold? Let’s see the answers as revealed in Scripture. A common misconception is that when people die (and especially infants), they go to heaven and become angels. Yet angels have existed far longer than people have, being present at the creation of the earth (Job 38:7). 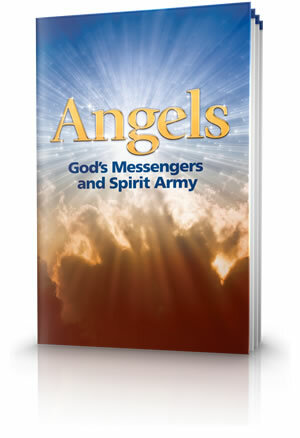 Many people have reported experiences that seemed to involve angelic help. Here we relay the personal stories of some who have had angelic encounters. Angels are not fable or myth. God created these beings for a specific purpose —a purpose that involves you. The truth is fascinating and encouraging!